Diaper changing is certainly one of those least looked forward to chores. But disposing of used diapers in a standard trash can quickly lead to unpleasant odors in your house. So most new moms and dads invest in a diaper pail, a specialized bin that offers features to help contain the smell and allow you to conveniently complete diaper changes. Here's what to consider. Before you decide on a diaper pail, you'll need to determine what kind of diapers you'll use for your new bundle of joy. 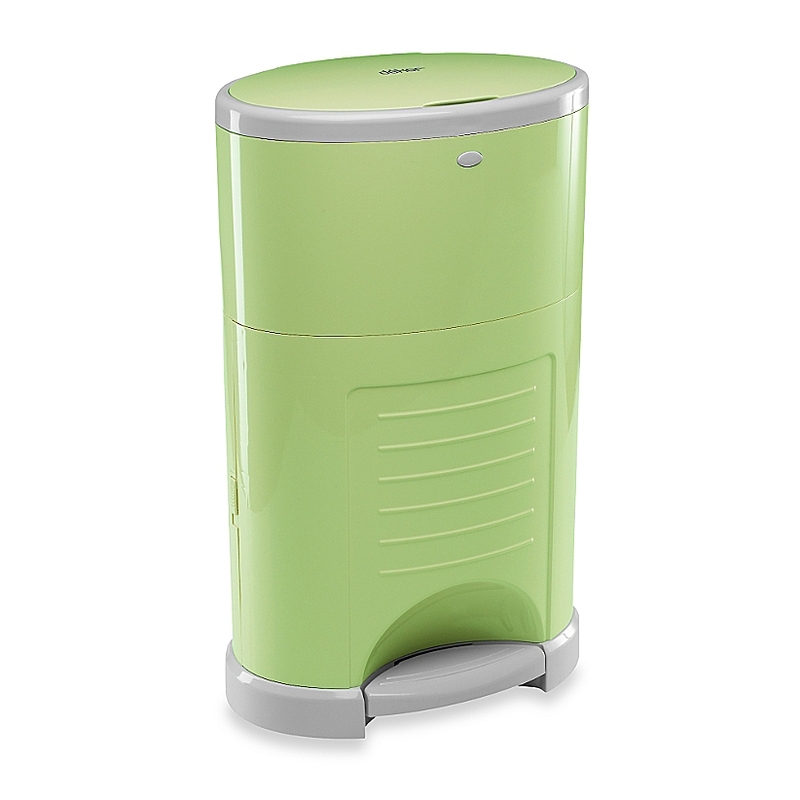 Cloth diapers A diaper pail that uses a cloth liner enables you to store dirty diapers between washings. Most often, this option is available with stainless steel pails. Disposable diapers Diaper pails that utilize plastic liners or garbage bags lets you make quick work of diaper duty and transfer the old diapers right to the trash can. Some use biodegradable liners for a more eco-friendly option. Diaper pails offer a variety of features to make them easier to use and help cut back on odor. Hands-free operation Between keeping your baby steady on the changing table and holding the dirty diaper, you've got your hands full. Some models use a foot pedal, while others offer a motion-activated lid. Child safety locks Once your baby starts to crawl you will want to prevent baby getting into the pail-and plastic liners or garbage bags can pose a suffocation risk. Air locks and seals A strong seal-made of airtight rubber or a series of traps that lock diapers into the system-can help contain diaper odor. Deodorizers, anti-microbial liners and other odor prevention treatments Many pails come with built-in deodorizers, special liners treated with anti-microbial chemicals, carbon filters, fan systems, or seals and trap doors designed to keep odors from leaving the pail. Pail capacity Larger pails mean fewer bag changes, while smaller ones that need to be changed more frequently may help cut down on odor buildup. Diaper pails run the gamut from a basic model to sleek high-end pails. Here's what to consider as you're making your decision. Diaper pails generally come in either a thick plastic or stainless steel construction. Many feature a heavy base to prevent tipping, and a rubber seal to minimize odor leakage. Plastic Lightweight. Prone to absorb the scent of dirty diapers over time. Stainless steel/metal Won't absorb odors. Heavy. Some pails work only with their own proprietary liners, while others can use a standard garbage bag. The proprietary liners are often treated with antimicrobial agents to minimize odor. You probably have garbage bags in the house, but they may not be as successful as the proprietary liners at controlling odors. To help keep the pail clean, you'll want to wash it down with a nonabrasive cleaner each time you empty it. Use bleach occasionally to give it a deep clean and prevent odors from developing. You may also decide to put baking soda into the bottom of the pail to help absorb the smell. Be sure to read the use and care directions that come with your diaper pail to find out exactly how your pail should be maintained. If you plan to change your child in more than one room of your house (for instance, in your family room and in his nursery), you may want to invest in two diaper pails so you always have one handy. Some brands of diaper pails can be used for either cloth diapers or disposable diapers, while others are used for one type only. If you're using cloth, you may want to buy and use a cloth liner that can be easily removed and carried right to the laundry room. If you've chosen a diaper pail that uses a special type of liner, stock up on refills so you're never caught without one. Even the best diaper pails may eventually develop that unmistakable odor, so placing a deodorizer near or inside the pail can help counteract that.